A home owner from Vaucluse in Sydney’s east approached Paragon with four major issues. 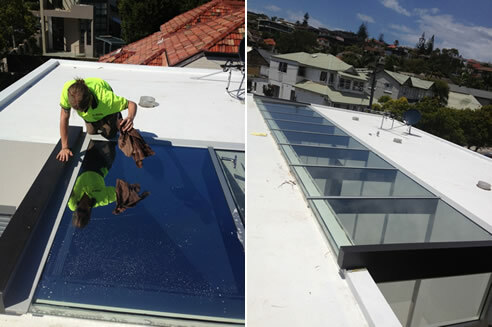 Firstly he needed a window film that would reduce maximum radiant heat transferring through the skylight glass to improve comfort. Secondly he wanted the air conditioning to work more efficiently, which in turn will save on energy costs. Thirdly he wanted a film that would let enough natural light in, but reduce the amount of excessive light that was causing added eyestrain. Finally he wanted to protect the Family, and preserve the brand new paint, furnishings, fabrics, carpets, and artwork from the damaging UV rays of the sun. 3M™ RE15SIARXL EXTERNAL SOLAR CONTROL FILM: 79-83% Solar Energy Rejection, 82% Glare Reduction & 99% U.V. Protection. 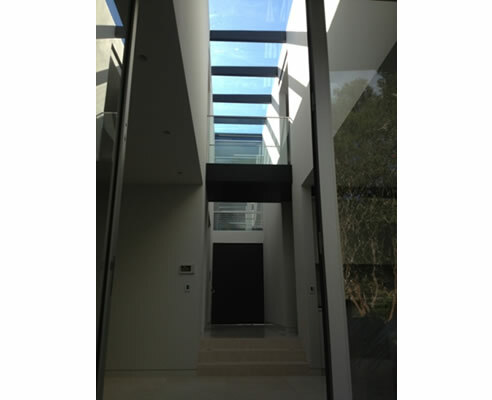 The skylight was over five meters from the floor, so an external application meant easier access to the glass with no interruption to the busy household & could be installed during normal working hours. Once the new film was applied Paragon sealed the edges with silicon, then applied a roofing tape for extra protection and a longer lifespan. Since installing the 3M™ RE15SIARXL external window film, it has substantially reduced heat up to 83% increasing comfort for family members, also in return, saving on energy costs. The effects of eye strain on the Family by reducing substantial amounts of glare, increasing their personal health, protected furnishings from damaging ultra violets rays. Since the application, the client has reassurance with 3M’s product performance with multiple benefits. Paragon Window Tinting Solve an Unbearable Heat, Glare, U.V. & Energy Problem Using 3M™ RE15SIARXL External Window Film.